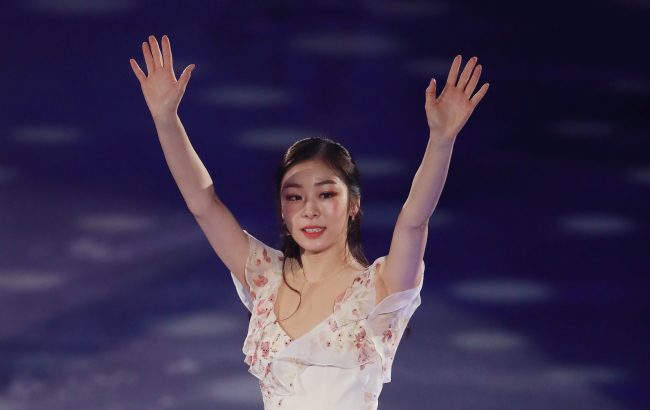 Figure skating champion Kim Yu-na made her first appearance in an ice show in four years on Sunday. 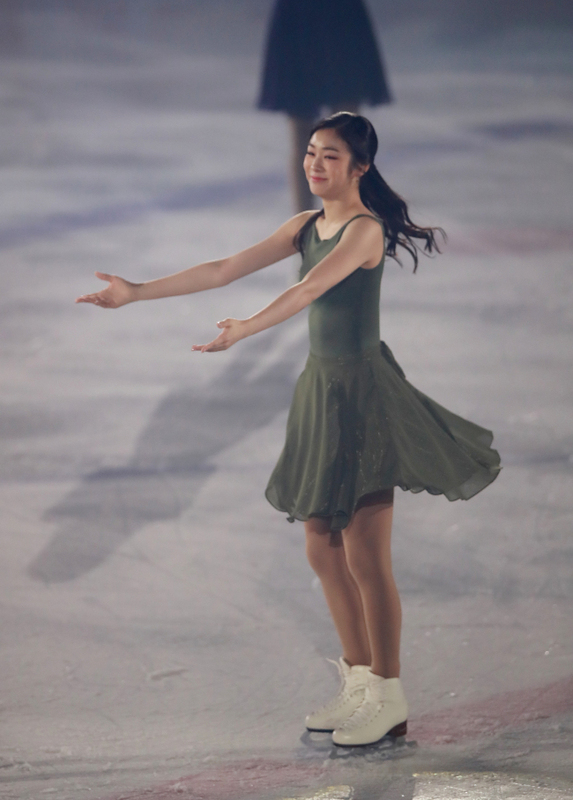 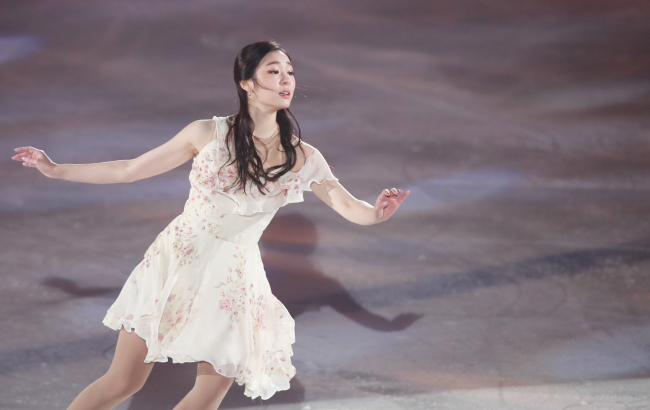 She performed a special gala program at the “All That Skate 2018” ice show held at Seoul’s Mokdong Ice Rink. 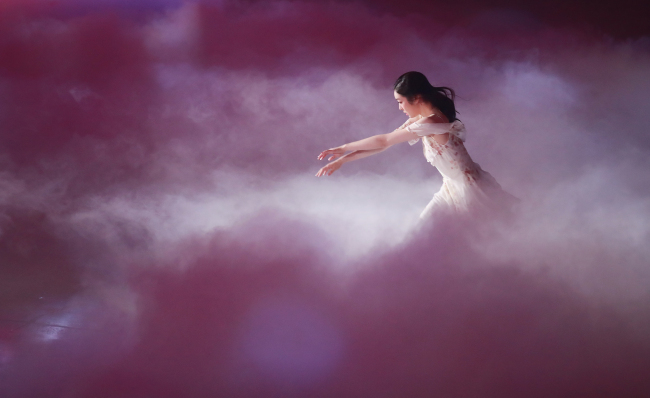 No jumps were carried out but Kim mesmerized the audience during the three-minute show. 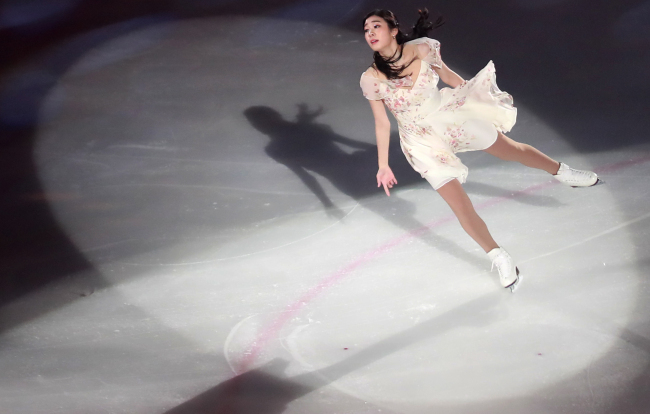 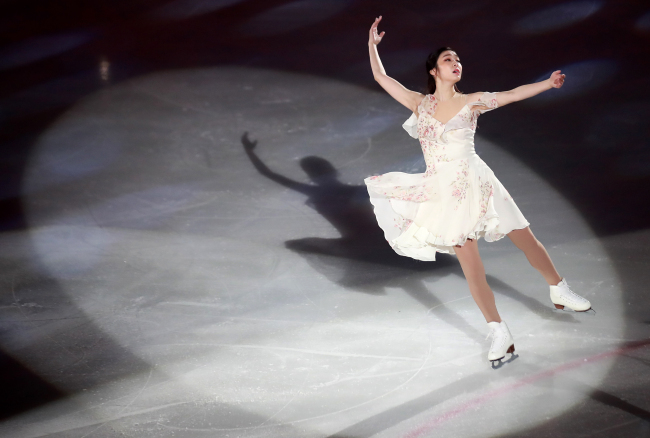 Skating in a flowing white dress dotted with dainty flowers, Kim executed her trademark Ina Bauer and spins with elegance. 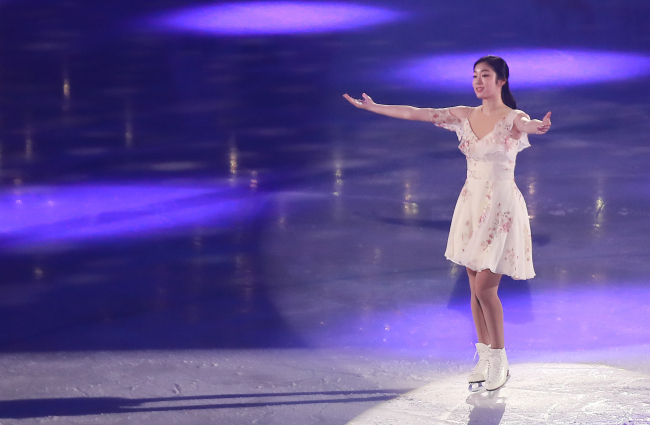 The rest of the show featured figure skaters including Sochi Olympics silver medalist Patrick Chan from Canada, 2018 Olympic bronze medalist Kaetlyn Osmond, and rising Korean skaters Choi Da-bin, You Young and Lim Eun-soo.